Fall semester forever remains the best time of the year for college students because of one thing: football. Campus comes alive on Saturdays as students, alumni and fans flock to the stadium to cheer on their favorite team. Everyone experiences game day uniquely and create memories to last a lifetime, especially at the University of Florida. 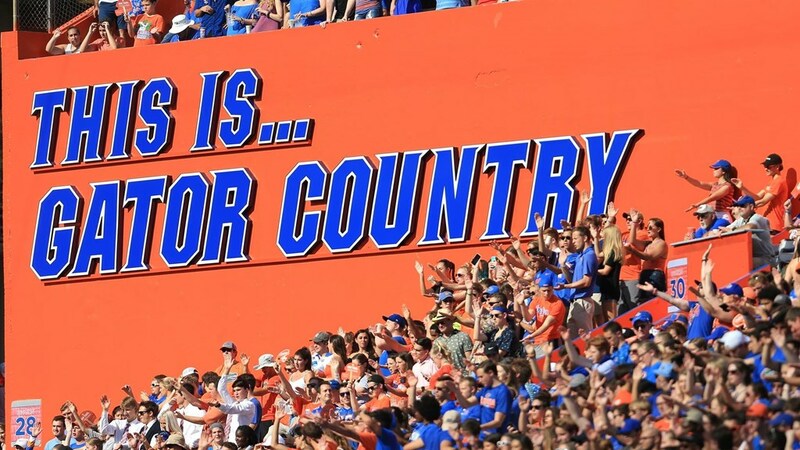 Have you ever wondered what makes it so great to be a Florida Gator on game days? These 10 essential things create a perfect game day at The Swamp. Any great game day kicks off with a little bit of tailgating. Long before kickoff, people fire up grills and play corn hole to socialize before walking over to Ben Hill Griffin Stadium. “I normally tailgate with the club swim team before the games,” said University of Florida junior Trevor Wilson. “We set up in the neighborhood by the practice field and sometimes tailgate all day.” Tailgating holds a special place in the hearts of football fans because nothing brings together people better than food. It also symbolizes the start to game day as many fans pitch their tents hours before the game begins. These colors run so deep they’re the name of our fight song. You can’t walk six feet on campus without seeing someone decked out head to toe in orange and blue. Fashion goes hand-in-hand with game day because let’s face it: you want to look good for those Instagram pictures you post on Sundays. 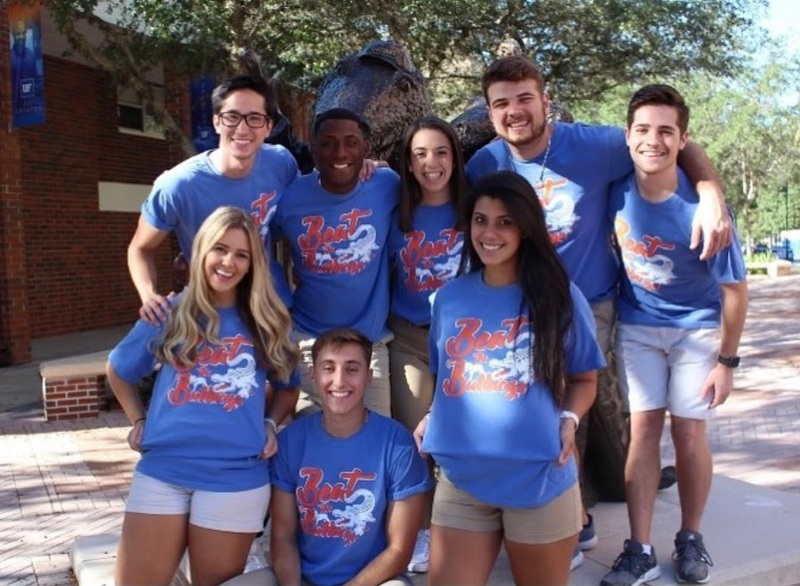 Wearing orange and blue on game days shows you’re proud to go to the University of Florida and love your school. For those who have trouble planning their perfect outfit, the alumni association hosts a “Beat” t-shirt giveaway for almost every home game. After paying a membership fee you get access to (the cutest) tees on campus and make beating the opposing team look fashionable. 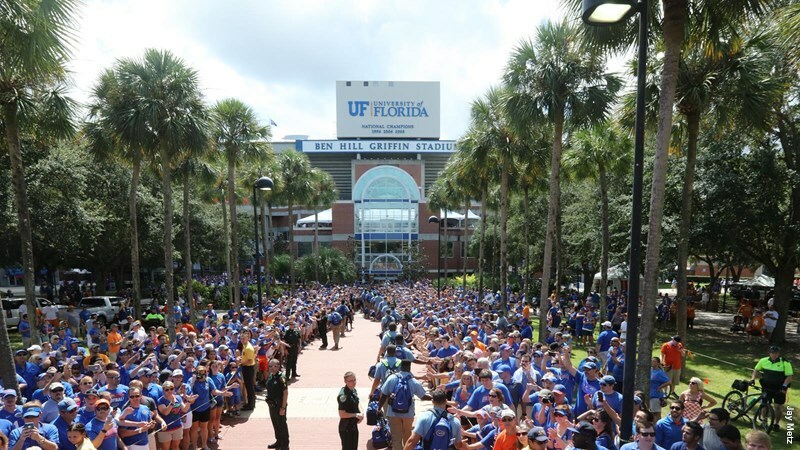 Gator Walk shows that Florida knows how to make an entrance. Before they warm-up, coach Dan Mullen and the Gators trek from their bus to The Swamp and greet fans along the way. The band plays pep tunes and hypes the team up before they step foot on the field. “Everyone hangs out around Gator Walk on Saturdays,” freshman Samantha Scholl said. “It really gets you into the Gator spirit.” Gator Walk shows the unity between the team and the rest of the Gator nation. By taking time before the game to acknowledge fans and sign autographs, it shows that the team relies on the campus community to support them. Who wants to go to game day alone? Whether it’s with one friend or twenty, showing up with friends makes the experience even more memorable. Everyone catches up about their week while you make your way to your seats in the endzone. Sometimes you can even make the whole weekend an experience with your friends. “My best friend and I always have a sleepover Friday night,” freshman Grace Tyler said. “That way we can wake up, make breakfast and get ready for the game together.” Game days may revolve around the team, but they also revolve around friendship. Sports, especially football give you something in common with so many people. You can feel a sense of unity as you cheer on your team with your best friend beside you. Visiting fraternity row at least once during your college career should make everybody’s list of things to do before graduation. 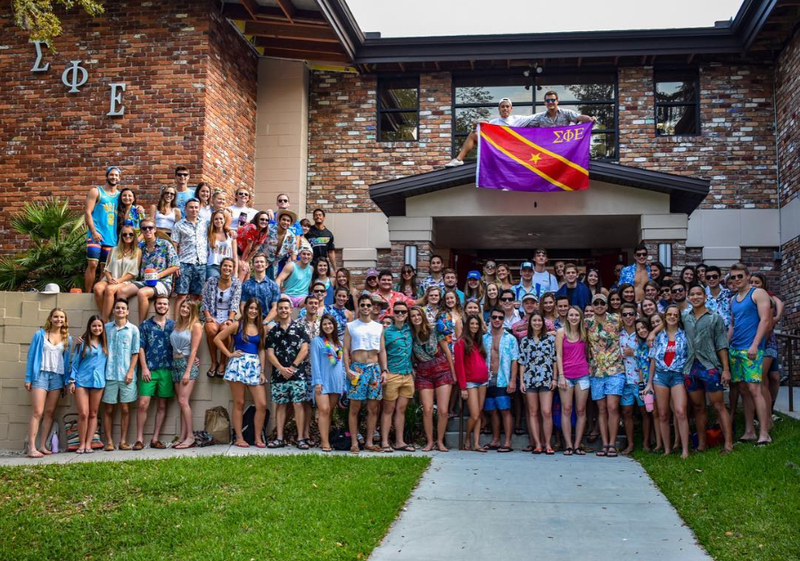 The University of Florida houses 26 fraternities, making it the fourth largest fraternity system in the country. “Frat row is the place to be on Saturdays to watch all of the tailgates.” sophomore Alyson Moriarty said. With so many chapters on campus, you can guarantee a good time. Sigma Phi Epsilon constantly provides delicious pregame food cooked in-house as well as a dessert fountain. Alpha Epsilon Phi generates the biggest turnout by welcoming everyone and attracting a diverse group of both Greek and non-Greek students. If you really want to get hyped before the game, frat row is the place for you. No fan cheers on an empty stomach. Concession stands at Florida games offer a variety of snacks and meals to satisfy anyone at the game, including popcorn, burgers and the infamous lemon slushees. “Dippin’ Dots are my favorite thing to get,” senior Courtney Cramer said. “Games are normally super hot and you need ice cream.” Some of the concession stands even sell souvenir cups that you can refill all season long. Staying hydrated and full makes game day much more enjoyable, especially when the humidity and temperature skyrocket during those early season games in August and September. After all, we call the stadium “The Swamp” for a reason. Over the years, the student section has acquired a nickname: The Rowdy Reptiles. 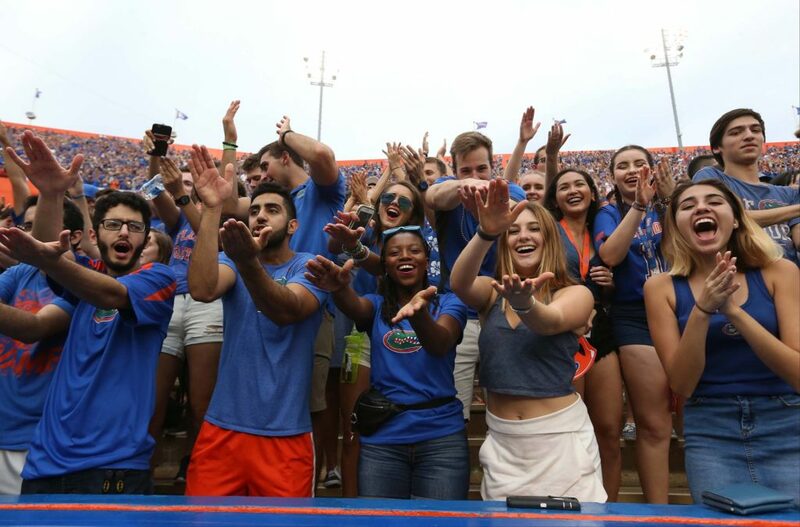 While more commonly used during basketball and volleyball season, Florida students still love cheering against the opposing team. No crowd chant brings the student section together more than “Gator Bait.” “It’s my favorite chant because it really riles the crowd up,” sophomore Christina Nguyen said. “We really get into it sometimes, especially when we’re winning.” You know Gator Bait begins when you see fans do the Chomp (arms right over left, always) as the band plays a few notes and everybody exclaims “Gator Bait.” Who knew a few simple words could hype up a crowd so fast? At the end of the third quarter, don’t be surprised when your neighbors start to lock elbows and turn on their cellphone flashlights. We are the Boys from Old Florida originated in the 1930s and to this day fans still sing the song at every home game. On October 7, 2017, an additional song made its way into this tradition—Tom Petty’s I Won’t Back Down. This began as a memorial to Petty, a Gainesville native, after his passing five days prior. Since then, the song plays almost immediately after the band cuts off We are the Boys. “I look forward to this every game because it makes me really proud to be a Gator,” freshman Grace Tyler said. Music transcends languages and brings people together in a way few other things can. 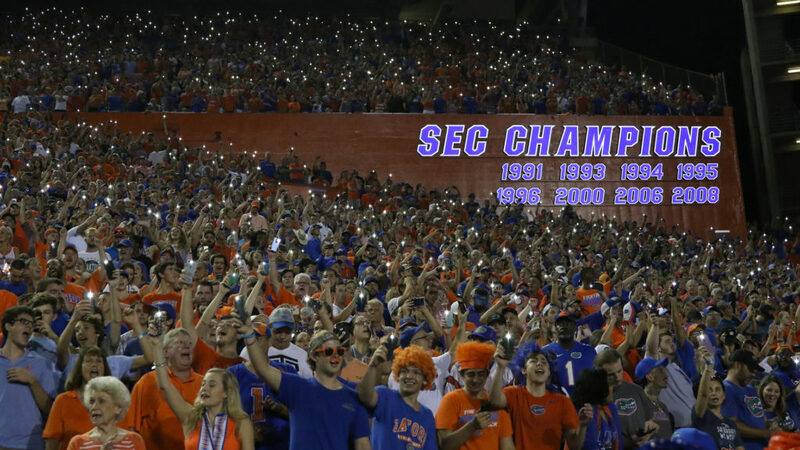 These songs manage to unite 90,000 fans and give the team the final push to bring home the W.
One tradition growing in popularity involves one of the most noticeable groups on game day—the University of Florida Marching Band. When the game ends, the band files out of the stadium and always plays for a crowd at Turlington Plaza. Typically their repertoire includes school songs like the alma mater and fight song as well as their most recognizable tune from that week’s halftime show. 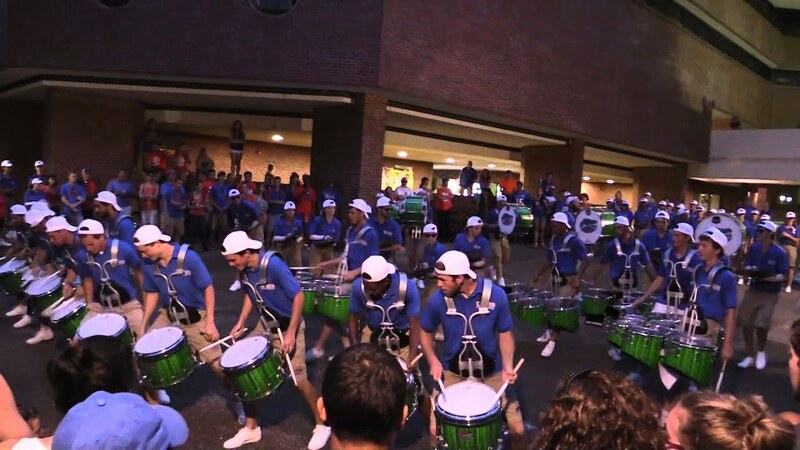 When the band finishes, the Florida Drum Line stays around even longer and performs their own special show. “I’m at the Turlington performance without fail every Saturday,” sophomore Christina Nguyen said. “My best friend is on Florida Drum Line and I love supporting her.” College football would not be the same without the band. They provide both music and entertainment for every football game and constantly wow the fans with their innovative and exciting pregame, halftime and postgame shows. An average of 82,000 fans per game means that no two people will experience game day the exact same way. 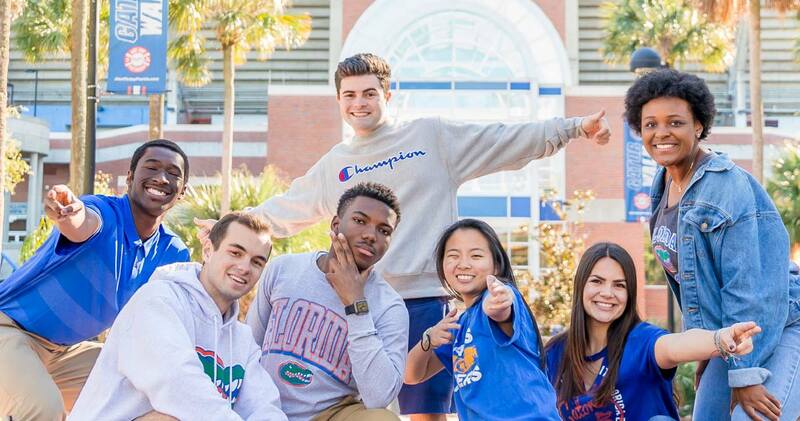 One of the University of Florida’s main ideas remains creating a signature student experience by encouraging students to branch out and expand horizons. This, of course, includes game day. Perhaps one of the most exciting parts about spending your Saturday in The Swamp means you create your own memories. “I’m involved with the Filipino Student Association and being with them brings us together as a pamilya (family),” freshman Niko Bronto said. Just like snowflakes, game days never look identical. What you love most about game day may differ from what others love. 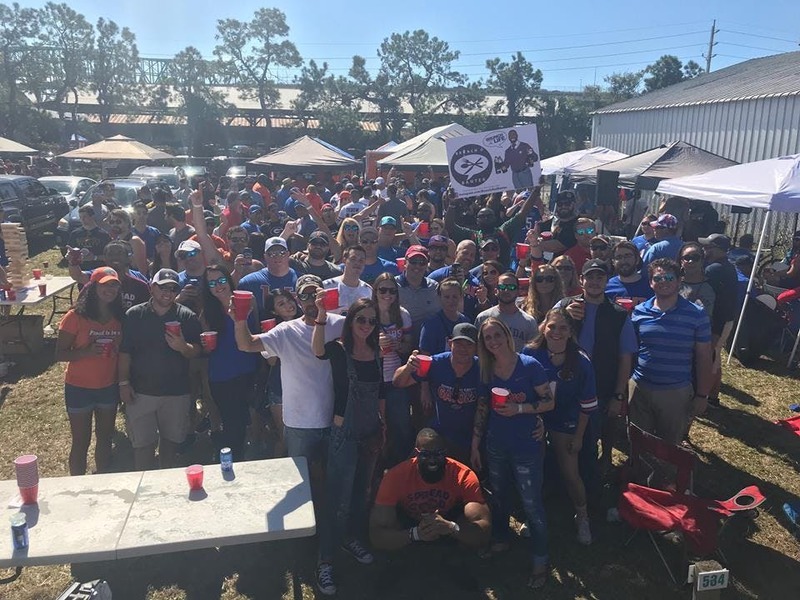 Since game days create a huge variety of things to enjoy, you can guarantee there’s something for you at every game day in Gainesville. Katelynn is a freshman public relations major at the University of Florida. When she isn't at a music rehearsal she is hanging out with friends at a coffee shop or catching up on her favorite shows on Netflix.